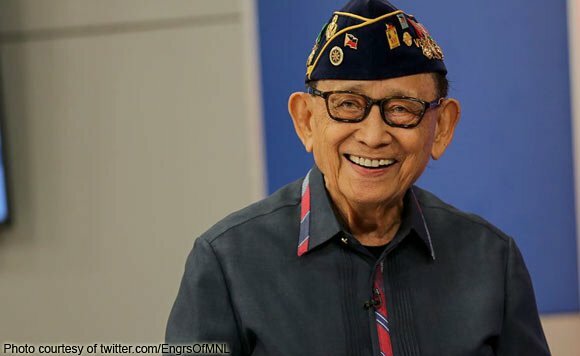 Presidential spokesperson Ernesto Abella bucked at former President Fidel V. Ramos after claiming that President Rodrigo Duterte as an insecure and needs to be at peace with himself. Abella in an interview with state-run dzRB radio, he described President Duterte as a visionary President who takes it upon himself to decide even as he listens to others. “Hindi po ibig sabihin na insecure ‘yung kanya. Ang kanya po talaga, ang malinaw po sa akin is that he’s a leader who listens. However, at the end of the day, kanya pong, siya mismo ‘yung ano, siya ‘yung mismong… ang kumikilos ‘no. But it doesn’t mean to say that he’s not listening, but siya mismo ang gumagawa ng desisyon,” Abella said. “Iba lang po siguro talaga ang ano, ang working style ni PRRD tsaka ni FVR ano. Si FVR kasi na medyo ang approach niya is… more managerial and more corporate. While the President himself, the, PRRD is more visionary,” he added. Recently, the former President FVR advised President Duterte to sopt talking or joking about getting killed soon. “A lot of these fears being generated by him is because he is afraid of fear or he is not secured. He is insecure. Pardon me for saying this, Mr. President Duterte, but you must be at peace with yourself, do not talk about dying soon or being killed or not caring about your life,” Ramos said. “You must preserve your life, you have a lot of things to do and people will support you. We don’t want the president to be just disposed of like that. You are elected for six years, you fulfill it,” Ramos added. Ramos supported President Duterte but has turned critical, despite criticism of former President, Abella believes Duterte has changed a lot. “At this stage po, nakikita natin na sobrang ano po, sobrang, sobrang… ang lalaki po ng lundag na ginawa ni PRRD. Simply because ano po siya, he has to follow the rules but he has been acting out of the box, but he’s truly a visionary leader, he’s really what would you call a transformational leader,” Abella said.